This is the time of year when projects and work streams wind up in preparation for the fabulous Kiwi summer holiday. Yet, for many of us, it can also be a time for reflection and thinking ahead to ways we can bring to life our goals and aspirations for 2018. CORE whānau are ferocious readers with their fingers on the pulse of the latest national and international titles and best sellers. Our personalised reviews — with a uniquely Aotearoa — lens may support and inspire your thinking and teaching practice. Enjoy a selection of reviews of the great reads from 2017. Schools who are interested in subscribing to the CORE Library can contact Paula Eskett for details. A Learner’s Paradise — a guidebook for parents and educators everywhere. Richard Wells (@EduWells) writes in a conversational style, which made this a quick and easy read for me. I also enjoyed the web links contained in footnotes allowing me to explore further. 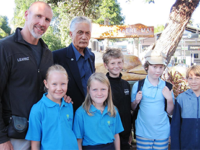 He made me realise that we do have a great education system, something those of us who were part of the evolutionary process as The New Zealand Curriculum (NZC) document took shape often take for granted. As a past CORE Education e-Fellow, he explored how the NZC has been interpreted by a wide range of schools throughout NZ. Many parts of it are well worth sharing with others, especially if you are working as a facilitator in schools. His key focus is on the amazing nature of where education is at in NZ, and the possibilities of its future due to the innovative and flexible opportunities inherent in the NZC as our guiding document. He came to NZ in 2006 after having taught in a very constricting and rigid education system in England. Based on his prior experiences, he calls our curriculum the ‘empty’ curriculum because of its lack of content, driven by key competencies and values allowing it to be interpreted in diverse ways to best meet the needs of learners and school context. He frequently refers to NZ’s high trust model, which means that teachers are treated as professionals capable of making good decisions about what and how they teach. This book is not just targeted at New Zealand readers and has received accolades worldwide for his reflections on the ideas and possibilities that are embedded within our national education system. 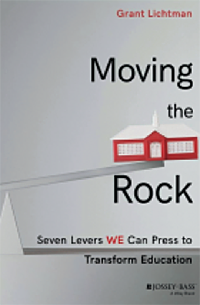 Moving the Rock: Seven Levers We Can Press to Transform Education. I loved so much about this book and wish I could share it all in this review! 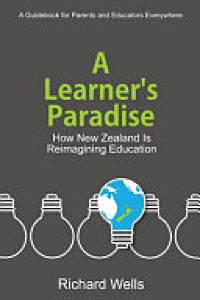 While Grant writes from an American perspective, many of his ideas and much of his take on the state of education can be aligned to our New Zealand view. You can happily skip the descriptions of the American policy scene and read about each “Lever” to get some amazing ideas on what you can do right now to influence change from where you’re at — whether you’re a learner, a parent, a teacher, a leader, or a facilitator. Lever 1: Creating the demand for better schools can involve starting small from wherever you are through things like having open community conversations, inspiring our communities by watching films such as Most Likely to Succeed, by piloting new programmes, and by showing off our successes, our pilots, our passionate, and engaged learners! Lever 6: Online technologies and learning spaces (like MOOCs) may have opened up all kinds of “transactional access to learning but they largely ignore the critical importance of relational learning” — Virtual Reality has potential here, if we can develop a relational pedagogy to go along with relationable VR and Augmented Reality technologies. Exciting! Lever 7: We need to consider the human side of school change and consider the role of leadership by classroom teachers, families, and communities, too. “Leading from where you are” is important in order for significant change in education. How might we provide opportunities for “early adopters” to engage in leadership learning and then in leading transformational change? How much leadership mentoring and training have school leaders had? How do they enable distributed leadership in their schools? 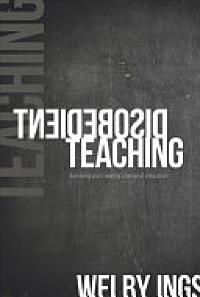 Disobedient Teaching : Surviving and Creating Change in Education. What a pleasure and a privilege to get to review this book. Earlier this year, the title piqued my interest, I’ve been following the social media hype, and have been thoroughly looking forward to diving into it. Welby is a learner, an educator, professor, award-winning academic, designer, film-maker, and author. Opening the book, I immediately found myself immersed in a thoroughly engaging and easy read that grabbed and embraced me in positive hope and positive disobedience. Perhaps the most poignant for me is the need for absolute belief in the preciousness of every learner. Belief that all flowers bloom when they are ready given the right environment. The notion of ‘social editor’ is a new one to me. That ‘editor’ who causes us to be wary of standing out, of being disruptive. I am wondering how powerful the ‘social editor’ is in those youth who have incredibly creative ideas, thoughts, and processes. What if they are filled with creativity that they are simply unable to share because of the force of the ‘social editor’? As a young learner, I would have died rather than stand out for my ideas. As an adult, I am increasingly aware of the ‘lack of real creativity’ in my current work life. I am continually reflecting on the explicit inclusion of creativity in some aspects of my adult life, especially in times of creative questioning and reflecting. I am acutely aware all over again of the true power and need for Story Hui as a tool for capturing a success story. This book is full of ‘real’ stories, practical examples, big questions, and a whole lot of hope. How do we give learners ‘permission to disobey conventional thinking and the protestations of their social editor’? How do we rely on ‘the transformative power of productive disobedience’? What are we doing to address the conflict with measurement causing dependence? 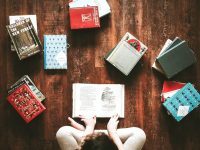 What do I really and truly know about the way I learn? Last week I had the pleasure of listening to Welby, at the University of Otago. And we are privileged to have him sharing at uLearn18. If there is one book to read this summer, this is it! Get positively disobedient! 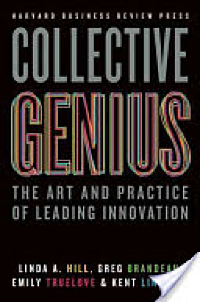 Collective Genius: The art and practice of leading innovation. When we think about innovation, our imagination usually pictures creative and charismatic individuals such as Marie Curie, Steve Jobs, or Mark Zuckerberg. We can be set with the idea that the capacity to change our world and be innovative only lies in the hands of a genius with the one revolutionary idea. In Collective Genius, the authors, Linda A. Hill, Greg Brandeau, Emily Truelove, and Kent Lineback, uncover what it takes to be an innovative company and dismantle the myth of an individualistic innovator. Through in-depth research, case studies, and interviews this book demonstrates that the reality behind the success of innovative companies lies in the diversity of people working together to achieve a common dream. Innovation takes place when a melting pot of ideas and people work together supported by innovation-oriented leadership. The importance of the right type of leadership cannot be underestimated. A leader of innovation aims to create the right culture of innovation to give space for the collective genius to thrive. Just like it takes a village to raise a child, it takes a village to bring innovation to life. 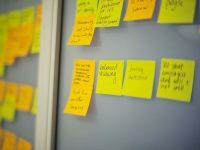 Not only does “Creative Genius” give us more realistic perspective on what the buzz word “innovation” hides, but it also gives examples and guidance on how to lead innovation and bring this into the norm in our own environment. “Every person in your group, whether that’s a small team or a large corporation, contains a slice of genius. Your task as leader is to create a place where all those slices can be elicited, combined, and converted into collective genius.” (Hill et al, 2014, p.7). Reduce Change to Increase Improvement. Don’t be put off by the cover. You certainly won’t regret spending three hours reading this little taonga of a book. Every school leader should have this in their Christmas stocking to reduce stress levels in the year ahead. We’re under pressure in education to improve outcomes for all learners, and with good reason. However, this expectation often pushes us to make changes without clearly understanding the why and the how before we embark on yet another journey of change. 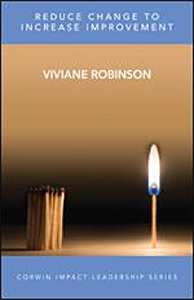 Robinson unpacks some key steps for leaders, facilitators, or coaches, to take to ensure everyone is on board from the outset, using her ‘bypass’ and ‘engage’ approaches to leading improvement. You’ll love the examples. They’re real and make perfect sense. 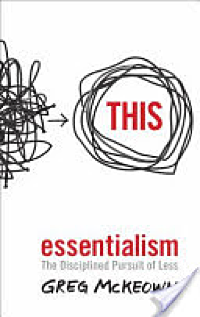 Essentialism : The Disciplined Pursuit of Less. This year’s pick was originally recommended to me by Derek Wenmoth, CORE Education. For me, an outstanding professional reading is one that challenges my thinking, is underpinned by sound principles/research, and offers practical approaches to achieving the desired life — work balance we crave. Moving from a non-essentialist to an essentialist mindset requires a shift in thinking, doing and getting in order to live a fulfilled life. McKeown, emphasises one of my mantras, “Less, Better” (note the placement of the comma), so I was encouraged to read on. Each chapter: Essence, Explore, Eliminate, and Execute encourages us to discern what is truly important, remove the distractions, and ultimately effectively focusing on less but better. The principles can be easily applied to teams, organisations, leaders — starting with you! In summary, this book reminds us to be mindful of everything we choose to undertake. By creating new triggers to develop healthy habits, we will be able to BE living essentialism — the disciplined pursuit of less. Being equipped with the powerful “slow yes, and quick no! Go on, dare you to pursue this. Ask yourself, “what is essential?” and eliminate everything else. Late Love: Sometimes Doctors Need Saving as Much as Their Patients. 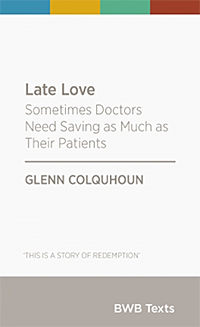 You may know and love Glenn Colquhoun’s poetry — Playing God, the Fine Art of Walking Upright — now he has used his poetical skills to tell us about his life as a local GP/youth worker in Levin and what needs to change to reconnect our health system with the more vulnerable and less resourced parts of our society. This essay is part of the Bridget Williams Books (BWB) series — short books on big subjects by great New Zealand writers. It’s not just the health system that needs changing Colquhoun also describes his views on the role of teachers and education to reduce the poverty divide in our country. A very thought-provoking and visual text. 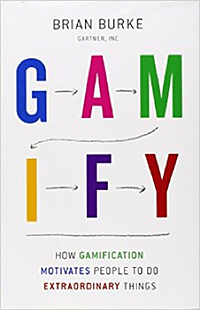 Gamify – How gamification motivates people to do extraordinary things. Autonomy – allowing for choice and agency. Mastery – providing challenge and feedback to motivate participants. Purpose – engaging people at an emotional level, in a meaningful way. “If the player’s goals are aligned with the organisation’s goals, then the organizational goals will be realised as a consequence of the player achieving her goals”. Gamify highlights that workplaces don’t have to be boring, or disconnected from employees’ personal lives. Work can be fun, personally meaningful, and allow people to set and reach goals that also support the organisation they work for. Why learning should ever be boring, or personally meaningless? How gamification could help educators provide more choice, personal meaning and a real sense of purpose to learning? 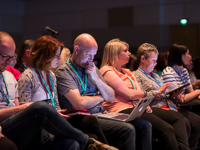 How gamification could help school leaders provide more choice, personal meaning and a real sense of purpose in their workplace for their staff? A good read for people considering how to motivate others to learn and work in different, engaging, and purposeful ways. 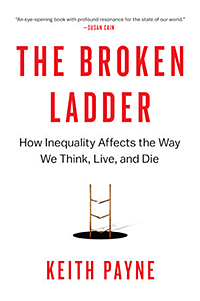 The Broken Ladder: How Inequality Affects the Way We Think, Live, and Die. I really enjoy books that take a multidimensional view of complex problems and bring coherence to the chaos through clever storytelling, analysis, and the integration of frameworks from the work of others. Is The Broken Ladder this kind of read? Absolutely it is! Keith Payne knits a clever writing style together with his unique experiences to provide deep thinking around the genesis of and approaches to dealing with inequity. He answers the questions around this topic that you have often asked yourself. As well, he challenges your thinking about the social and moral milieu that is leading to its increase. Inequity is undeniably on the rise as a major global issue, affecting not just financial disparity but also access to opportunity, access to a quality lifestyle and access to a fair and free society. Payne takes a storyteller’s view of the issues and our reactions to and ways of coping with the challenges of inequity. He provides a mirror on the societies in which we live, questioning what we see around us at a societal level, and noting our responses and their consequences. Inequality divides us at a fundamental level, consigning us to lifestyles that are reflective of our opportunities, our health, and our consequential attitudes. Payne brings this sharply into focus. Through the clever use of research, theory, and the insights of others, The Broken Ladder takes us on a journey where both our actual economic, social, employment, and community standing and our perception of the fairness, justness or otherwise of these, affect our future potential. In other words, it is not just how we are, but also how we accept where we are that defines inequality and how we deal with it. The ways we think and respond deeply change our prospects and, thus, our social and economic status and opportunity. This book will help you make sense of social dislocation brought about through the impact of inequity, how it affects individuals, and how thinking about its genesis can help us all learn to address ways that we might mitigate its impact.